Improving rabies awareness and preventing human exposure to rabid bats is a public health priority. At the same time, conservation of bats and the benefits they provide is also important. White-nose syndrome is fungal disease caused by Pseudogymnoascus destructans. The fungus appears as white fuzzy growth on the wings, ears, face, and tail membranes of afflicted bats. The Pd fungus shows optimal growth at 54.5-60.4 F (12.5-15.8 C) which is similar to temperatures found in bat hibernacula. The fungus is capable of invading the skin of bats during hibernation when bat body temperature is significantly lowered and the immune response is suppressed. The fungus that causes WNS is endemic in Europe and Asia but illness and death in bats there is minimal compared to North America. In the US, the presence of WNS in bats was initially detected in a cave in New York in winter 2006-2007. Since then, millions of bats have died as the disease has spread over most of eastern North America. WNS has reported from 31 states and 5 Canadian provinces and the fungus has been confirmed in bat hibernacula in two additional states. In March 2016 WNS was found in a Little Brown Myotis in Washington and subsequently WNS or Pd have been found in Yuma Myotis and Silver-haired bats. The fungus that causes WNS affects the ability of bats to hibernate. It appears to alter behavior of bats resulting in delayed arousal from torpor following disturbance, aberrant behavior including increased activity during normal hibernation periods or roosting in abnormal sites. Susceptible bat species may exhibit high levels of winter mortality in and around hibernacula. 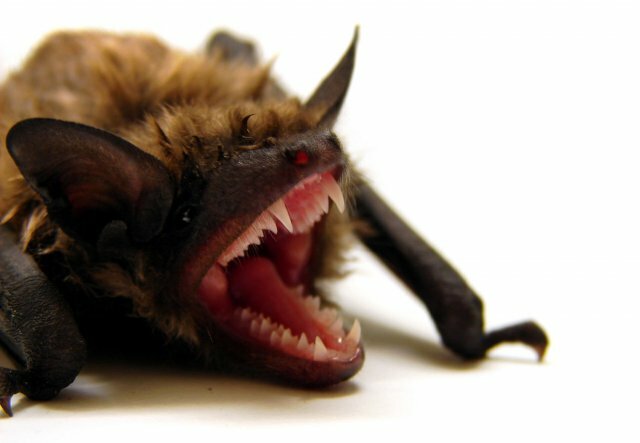 Bats affected by WNS usually have white or gray powdery fungus growing on the muzzle, ears, wings and tail membranes and may be in thin body condition and dehydrated. Wing damage (thin membranes, depigmented areas, holes, tears, flakey skin) may be seen on affected bats.